Spanish police busted five people over heroin trafficking, including three Bulgarians. Spanish police busted five people over heroin trafficking, including three Bulgarians.The confiscated 31 kilos of heroin are the largest quantity caught in the last years, the Spanish police informs.The drugs have been smuggled to Spain by the Bulgarians and have been destined to a Turkish national said to live in Valencia and have close ties to a Turkish mafia dealing with heroin trafficking.The heroin has been found hidden in an expensive automobile with Bulgarian license plates. 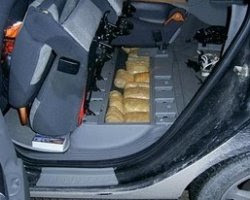 The illegal drug was placed in one of the car's doors and underneath the back seat. The other two alleged criminals were a Turkish national and a Spaniard. Miguel Carcaño, has tried to take his own life in the jail at Morón de la Frontera. 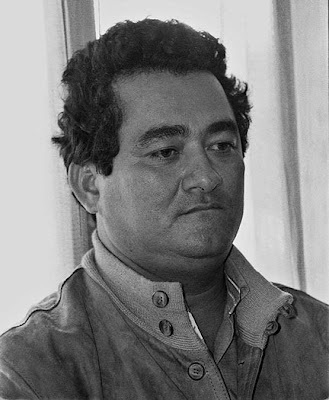 Miguel Carcaño, has tried to take his own life in the jail at Morón de la Frontera.He tried to hang himself using a cord from a track suit, but was stopped for carrying out his wish by other prisoners.He had left a letter in his cell, addressed to his lawyer, in which he insists that Marta’s body was thrown into the rubbish bins.Antonio del Castillo, Marta’s father has asked ‘If he is so scared he is protecting someone and would rather end his life than reveal who it is’.‘All I want to know is where my daughter is, and I don’t care what happens afterwards’.Miguel was not injured in his suicide attempt and prison authorities have made it clear that the cord he used was from another prisoners track suit and not his own which had been removed for his own protection. Spanish police have arrested more than 50 people, most of them Britons, suspected of involvement in a network that falsified identity documents for clients around the world.They have also identified around 100 British citizens living in Spain whom they suspect of using the fake documents to obtain bank credit, mostly mortgages of between 200,000 and 1.5 million euros.The gang's operations may have defrauded some 25 financial institutions in Spain of around 60 million euros (80 million dollars), police said in a statement.Spanish authorities have also provided information to the international police agency Europol on more than 1,000 people in 26 countries in the five continents suspected of obtaining fake documents from the gang.Police in the eastern Mediterranean resort city of Alicante opened an investigation in early 2007 after spotting websites that offered fake driving licences, residence permits, birth certificates, academic qualifications and other official documents, the statement said. 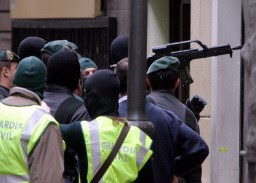 In May 2007 they arrested two men and a woman, all Britons, in the Alicante region and seized equipment for producing fake documents, guns and ammunition in raids on two properties.Since mid-2008, 50 people, most of them British, have been arrested in various regions of Spain, and the operation is continuing. "It was a perfectly structured organisation, capable of successfully producing all types of fake documents, including a vast range of clients and able to set up a full network of collaborators, which meant a high volume of fake documents were generated - more than 1,000 documents in three months," the statement said.The websites were administered in the United States but had virtual offices in the British colony of Gibraltar, off Spain's southern tip.Two of the Britons arrested, identified only by their initials AK and DM, were located last November through appeals from the British charity Crimestoppers and Britain's Serious and Organised Crime Agency.The investigation also led to the identification of a British man who was wanted for a murder in the southern city of Malaga, and who police believe may have fled to Britain using fake documents supplied by the gang.investigation has also led to the identification of another British resident, wanted in connection with a homicide carried out some years ago in Málaga. Spanish police say this man has now returned to the U.K. using a fake identity created by the group now detained.The Guardia Civil has described the group as perfectly organised, with the ability of obtaining all types of fake documents, and with a wide network of clients and collaborators. They are thought to have generated more than 1,000 false documents over a three month period. unnamed British man in his mid thirties has died after falling from the balcony of a hotel when he was trying to flee from the Guardia Civil. unnamed British man in his mid thirties has died after falling from the balcony of a hotel when he was trying to flee from the Guardia Civil.The man died around 5am on Friday morning after falling from the first floor of the hotel in Guardamar, Alicante, and suffered severe head injuries. It’s thought he was trying to escape after the Guardia Civil were called because of his allegedly drunken and rowdy behaviour which had been disturbing other hotel guests.He was taken by helicopter to hospital but died shortly after.Información newspaper reports that the two British people in the room refused to open the door to the Guardia Civil when they arrived, and when the Guardia managed to gain access one of the men tried to escape over the balcony which was only three metres high.An autopsy has been carried out and the friend of the deceased has been arrested. ex Deputy Mayor of Marbella, Pedro Román, has denied in court of having committed any fiscal crimes because his companies were based in Switzerland. He claimed neither to have directed or managed the companies.He told the instruction judge in the Malaya case on Thursday that he had not obligation to declare the money in Spain. Román faces five counts of fiscal crimes which defrauded Hacienda nearly six million €. His case was originally being treated as separate from the main Malaya case, but now has been brought in by the instruction judge, Óscar Pérez. un-named 54 year old British woman has been arrested in Málaga on charges of fraud after making false credit card claims through a funeral and medical assistance business.The provincial police say that their investigation started a month ago when a bank informed them that they had detected strange operations at the funeral business alerted by the real owners of credit cards who saw unexpected charges. It’s understood the business used a dataphone to make the credit card payments using a code number. Police have arrested 20 people in Malaga, as part of ‘Operacion Reja’, on suspicion of carrying out a series of robberies. The police operation was launched last month after the province suffered a spate of robberies from chemist’s shops. Out of the 20 arrests, 11 were for aggravated burglarly with a firearm and nine for robbery using a lethal weapon. The last three arrests took place last week. The detainees are also suspected of having robbed a hairdressing salon. Sentence against Judge, Francisco Javier De Urquía, was two years in prison for accepting 73,800 € from Juan Antonio Roca, the man at the centre of the Malaya corruption case in Marbella, for the purchase of a property in the La Azalea urbanization.The judge was also banned from holding office for ten years by the Andalucian High Court in August 2008. The judge was also found guilty of accepting money from Roca to stop the broadcast of a local television programme about the corruption in the municipality.Now the decision of a review of the case by the Penal Hall of the Supreme Court is expected on Wednesday. The man who is organising group of men or terror cell is known to the police as Abou Mossab Anadori .The small town of Torreforta was the scene of the arrest of a Moroccan man on the Costa del Sol.The Civil Guard made the arrest because the 21 year old was wanted in his own country because of allegedly planning terrorist attacks against tourists in North Africa .He was the subject of an international arrest warrent issued by the Attorney Generals Office in Morocco.After the arrest he was handed over to the National Court which made a decision to imprison him .More than 15 people with links to terrorist operations were arrested in the same operation .It appears that these people are attached to a radical group with a link here in Spain .He it appears proposes to carry out terrorist attacks here in Spain . Eight machines valued at 1.2 million € have been recovered in Málaga and Galicia, and reports indicate that the sales to third countries were used as a way of hiding shipments of drugs.police have broken up an organization which sold heavy plant machinery in Spain which had in fact been stolen from the U.K.Two people have been arrested, both of them in Marbella, named as E.C. from Argentina and Briton A.J.C., and another six are reportedly indicted in the case. The two arrested are accused to have changed the axel numbers of the vehicles concerned and offered them for sale though an opaque company. 25 kilos of hashish has also been recovered in the operation controlled by GRECO specialist police in Cádiz with help from agents in Marbella and A Coruña.EFE news agency reports that investigations started in 2007 into some British drug traffickers based in Marbella. drugs war that has broken out on the Costa del Sol.NOTORIOUS Liverpool gangster was today behind bars in Spain after being arrested for attempted murder.James “Pancake” Taylor was picked up by police trying to stop a violent drugs war that has broken out on the Costa del Sol.The 29-year-old is also being investigated over claims he is the ringleader of a gang which has brought terror to the sunshine streets. A leaked report to a Spanish judge over a spate of shootings says the gang is a “worldwide organisation that is dedicated mainly to drug trafficking, targeted assassinations and has a hierarchical structure among the members, almost all of whom originate in Liverpool and Man-chester”.Taylor was arrested over the shooting of a Brit after a nightclub brawl last August. National Police have arrested one of the bosses of the Calabrese Mafia in Marbella. 48 year old Giususeppe U. was a policeman himself in Italy and even acted as a bodyguard to a minster there for a time.He was arrested on a European warrant for large-scale hashish trafficking from Morocco, and is wanted in connection with the killing of Salvatore Nigro in Rome in 1997.He was also wanted here in Spain in connection with the killing of a Spaniard in Almería in 2003.He is to go before instruction court 5 in the National Court who are expected to extradite him.